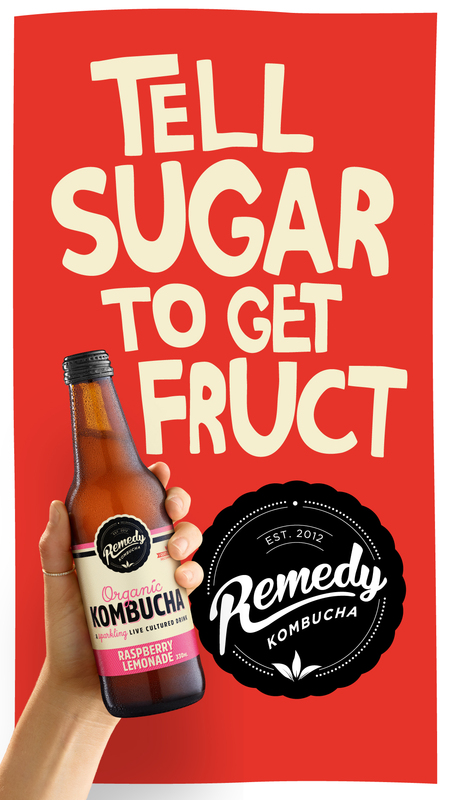 In the latest work from AJF Partnership, a GrowthOps business, Remedy Kombucha encourages consumers to give sugar a good kick in the lumps. Having started Remedy on their kitchen bench in 2012, Sarah and Emmet Condon have grown Remedy to become Australia’s leading kombucha brand. With a great-tasting product that naturally contains no sugar and is good for gut health, they have a big and bold mission to change the drinks landscape. Remedy Kombucha marketing manager Laura Hindson said: “We believe Remedy can shake fizzy drinks up for good. “Unhealthy, sugary drinks have dominated fridges and shelves for far too long and we’re not afraid to call them out on it. We want to make it right. Partner and executive creative director at AJF Partnership, Josh Stephens, added: “This campaign is about people choosing a soft drink that’s better for them. The campaign launches this week, appearing as out of home in Australia and New Zealand.